Color Country Human Resource Association is a fellowship of Human Resource Managers in Southern Utah dedicated to education, certification, and networking to its members. 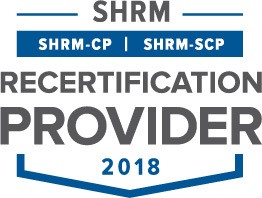 CCHRA is affiliated with both the Utah HR State Council, the national Society for Human Resource Management, and the Human Resource Certification Institute. During this one hour session, Eric Olmstead will give us an update on various employment laws that are shaping our current HR landscape. 1. Introduction (overview of federal and state laws that govern employment relationship). 2. Review recent Utah legislative actions and trends in employment law. 3. Review recent federal legislative actions and trends in employment law. 4. Review recent federal and state case law developments in employment laws. M. Eric Olmstead's practice focuses in the areas of Employment Law, Construction Law, Business Law, and Real Estate Law. He handles cases involving wrongful termination, sexual harassment and other Title VII-based claims, ADA, non-compete agreements and trade secrets. He also counsels and trains employers on how to minimize their exposure to the risks of employment lawsuits. He works with owners, contractors, subcontractors and suppliers in all phases of the construction process, including contract formation, bonding, liens, claims and litigation relating to these areas. Eric represents existing businesses in their legal needs, including contract drafting and enforcement, UCC, dissolution's and collections, and assists clients in forming and operating new businesses, including LLC's and small corporations. He represents buyers and sellers in commercial and residential real estate purchases and litigation arising from such transactions. He also represents developers in all phases of real estate development, including drafting development agreements, financing, representation before city and county planning officials and litigation related to these areas. Eric has lectured on employment law, labor relations and construction law topics for private groups, trade organizations, the Utah Department of Workforce Services and the Utah State Bar. Prior to joining Barney McKenna & Olmstead, he practiced with respected law firms in St. George and the San Francisco Bay area. Eric has been an active member of the St. George Area Chamber of Commerce since moving to St. George, Utah. He is the past legal counsel for the Chamber and has served on its Community Action Committee and Member Relations Committee. Eric is member of the Rotary Club of Dixie Sunrise. Prior to moving to Utah's "Dixie," Eric served on the Committee for Governmental Relations, Oakland Metropolitan Chamber of Commerce and was a member of the Committee for Race Judicata, the purpose of which is to raise funds for the Alameda County Bar's Association's Volunteer Legal Services program. To RSVP, please contact Joel Tucker (Joel.Tucker@washco.utah.gov) for more information. You can pre-register and pay on the Website. Or pay by credit card, cash, or check at the door for an additional $3.